Mexico Blue Dream was built FOR divers, BY divers. 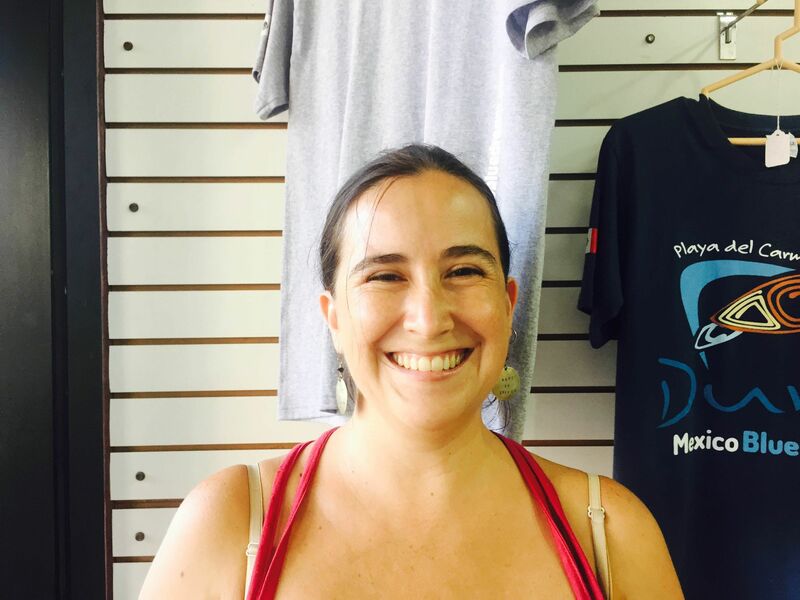 Our dive center has everything you’d expect from a PADI 5-star IDC facility, and so much more. 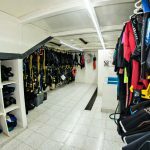 Mexico Blue Dream is a full-service facility with modern boats, rental gear, dive shop, gear rinse and storage, lockers, a spacious classroom for courses, and an equipment maintenance and repair center. Mexico Blue Dream Dive Center has 2 particularly spacious and comfortable boats compared to local standards. 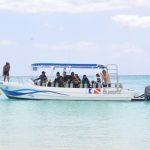 Our fleet of 2 fast, modern, twin engine dive boats ranging in size from 30 to 33 feet allows us to accommodate any individual needs, from private charters to fun packed group trips. 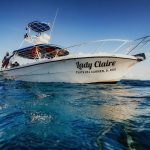 Our boats Lady Claire and LA REMORA have plenty of room for divers or snorkelers, tank holders, bench seating, a sun canopy and ladders on both sides. They are equipped with the necessary safety equipment in accordance with national and international standards. This includes oxygen, first-aid kit, VHF marine radios, life jackets and navigational equipment. 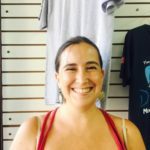 Our highly experienced and friendly crew take you safely and comfortably to the best dive sites. The boats leave twice a day, 8:30am in the morning and then 1:00pm in the early afternoon. We make two tank dives. We also offer night dives. It takes between 5 and 25 minutes to reach the dive spots. The dive center is equipped with two large fresh water rinse tanks (one for dive gear and one dedicated for regs, computers and cameras only). Adjacent to the rinse tanks is a fresh water shower to rinse the salt off of your skin and a drying area to hang your gear to dry. Your valuable dive equipment is safe in our large and spacious dry room. This dedicated storage area is well ventilated so that your gear can dry before your departure. Our personnel keep a watchful eye on your equipment. Our tanks and rental equipment are up to the same high standards. We don’t like rusty, banged-up tanks and gear that’s falling apart, so we use nothing but the best. We have our own 80 cubic ft / 12 ltr. aluminum tanks and compressors. True to the Mexico Blue Dream philosophy of “safety first”, all cylinders are tested in accordance with international cylinder testing guidelines. Regular valve servicing and visual inspections are just a few of the rigorous in house test procedures that equipment must go through. Hydrostatic testing are conducted out of house by an international accredited inspection company. All tanks can be used as DIN/INT connections. Plan on learning scuba diving? 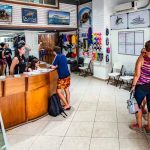 Mexico Blue Dream dive center is one of the few dive shops in Playa Del Carmen which offers a real classroom ‘on-site’ and with air-conditioning. We offer the most fun, exciting and convenient learning environment. 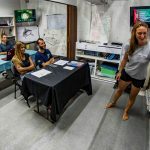 As a PADI 5-Star IDC Center, we teach the full range of PADI courses up to IDC Staff Instructor level. Our courses are designed to make learning enjoyable and worthwhile. 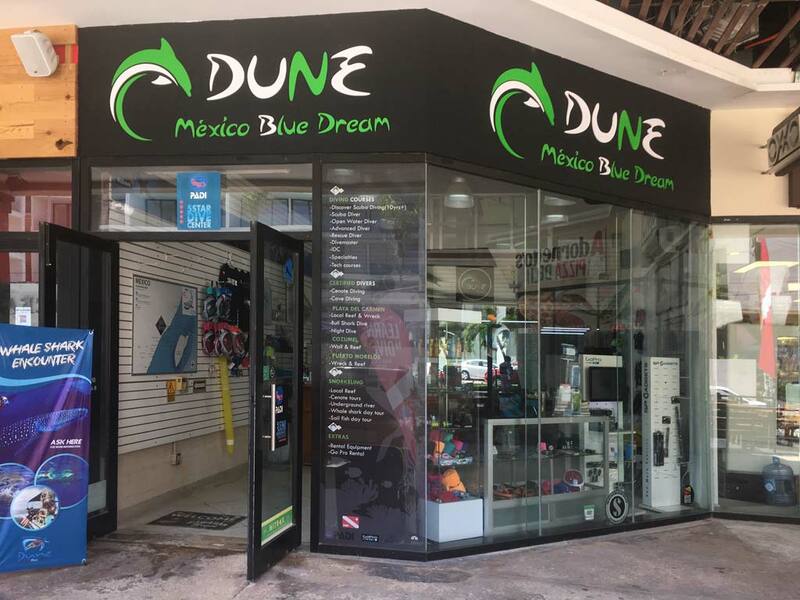 Mexico Blue Dream Dive Center is open all year round. Monday to Saturday from 8am until 7pm and Sunday from 8am until 5pm, you will always find one of our competent and friendly staff to answer all your questions. These opening hours allow the upmost flexibility for reservations so you don’t miss any valuable dive time. At the reception desk guests can check in, receive all forms they need as well as competent advice in case they have any questions. Those who want to come prepared and do the paperwork at home can find the appropriate check-in forms in the Download section.